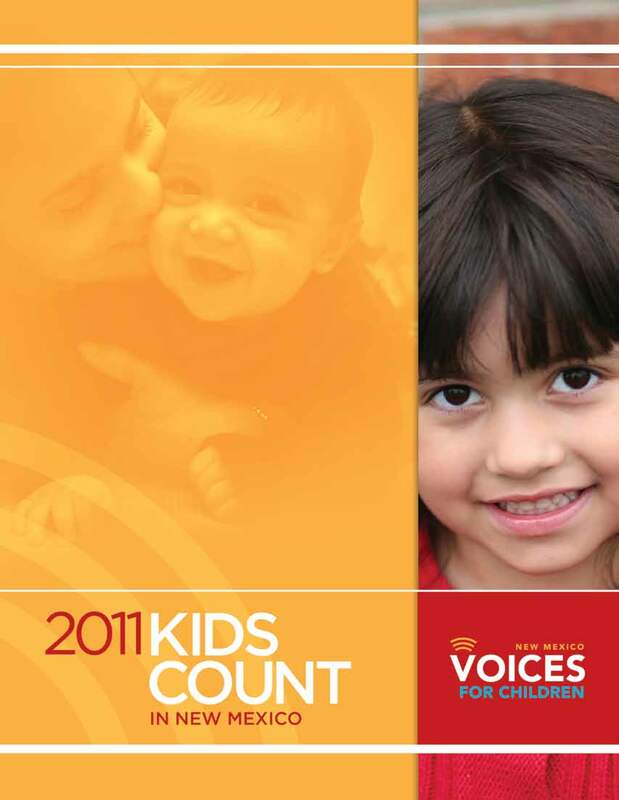 For 19 years New Mexico Voices for Children has published an annual New Mexico KIDS COUNT Data Book, gathering and analyzing the best data available on the well-being of children and families in our state. In addition, the book provides data at the county and, when relevant, at the school district level, to better inform local communities how their children are doing in comparison to the state as a whole. We believe that reliable, up-to-date research and data are meaningful and needed by our decision-makers—at all levels in the state—to ensure that our state, tribal, and local policies and programs are designed to promote and support children’s interests and family economic security. 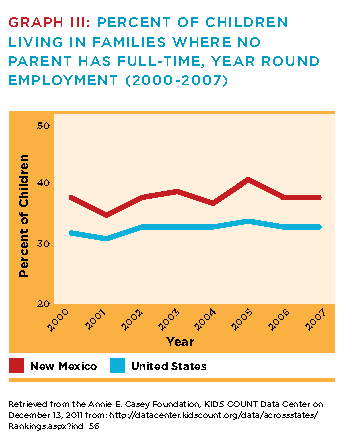 We are proud to present the 2011 New Mexico KIDS COUNT Data Book, which presents the most recent data available, to give readers a clearer idea of how the recession has affected New Mexico families. The American Dream is based on a fundamental value—that Americans can achieve success and a life of prosperity through hard work and equal opportunity. Given a fair chance, all families, with their own diligence and skills, can provide themselves and their children with a good standard of living and hope for the future. We can have economic security and dignity, and—if we fall on hard times—we should be able to ride it out with our own fiscal reserves and support from a government safety net. Americans believe in individual initiative and responsibility, backed up by necessary government supports. Unfortunately, over time—and especially with the current economic downturn—the ability of families to realize this dream has diminished. The “middle class” has been diminished as more families fall into bankruptcy or economic distress, struggling just to put food on the table for their children and hold onto homes and jobs. 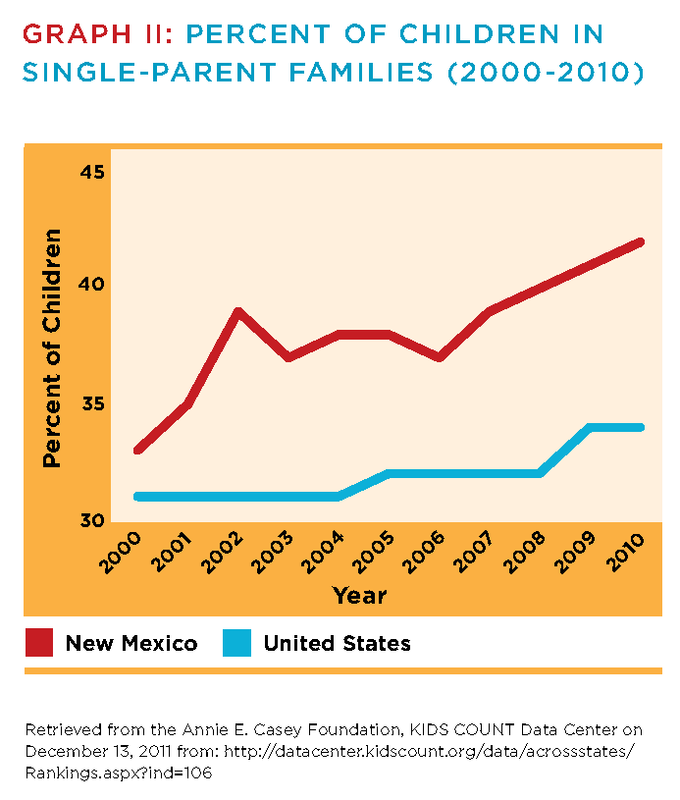 Indeed, the U.S. Census Bureau just released a report indicating that New Mexico is one of only 11 states in which the percentage of people living in poverty areas is 30 percent or more—a rate reflecting the impact of the recent recession.1 All other states have fewer percentages of people living in poverty, which signifies that the situation in New Mexico is dire. The report also notes that more of those living in poverty have a high school education or less. poverty.3 Unfortunately, many more of our children are living in homes in which no parent has had full-time, year-round employment in the past year. 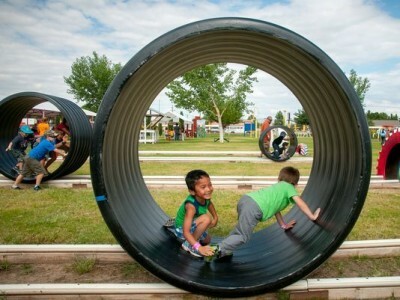 These are examples of factors that are negatively affecting the growth, development and well-being—today and in the future—of New Mexico’s children. In the data pages, you will be able to see how our children—in the state, in counties, and by school districts—are doing in terms of indicators such as racial/ethnic trends, families receiving SNAP benefits, children with or without health insurance, high school graduation rates, and birth and mortality rates. When faced with difficult economic conditions, it is extremely important that state and local policy-makers not make important decisions that affect children and families without utilizing credible data and evidence about the potential impact of their budgetary and policy choices. The facts and information provided by this KIDS COUNT Data Book should be of great value in updating policy-makers on the current status of our child and family well-being. 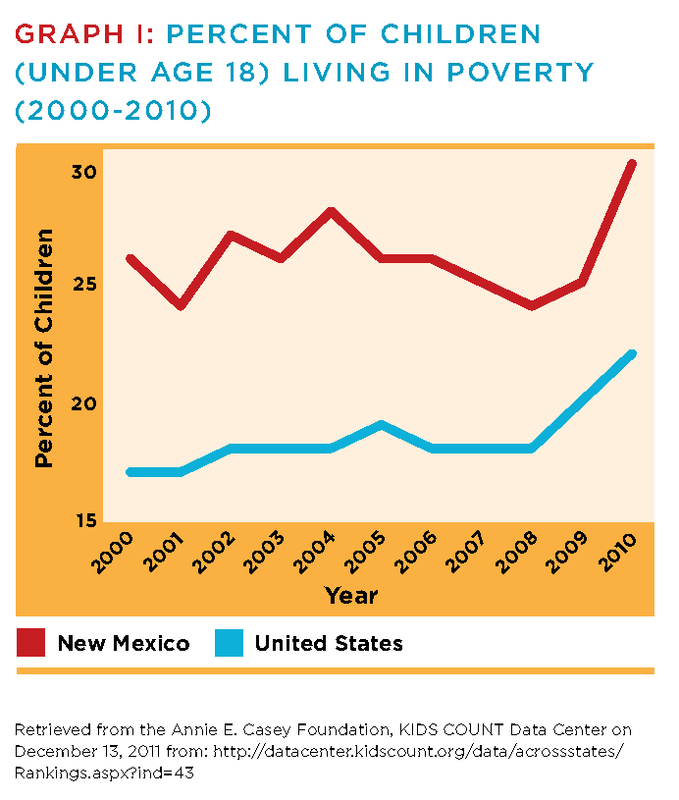 New Mexico had a high poverty rate and poor child well-being indicators before the Great Recession. Now more than ever, creative, positive steps are needed to address and decrease the negative economic and social trends that are damaging our children’s prospects for future success. 1. Bishaw, A. (December 2011), Areas with Concentrated Poverty: 2006-2010. Washington, D.C., U.S. Census Bureau, U.S. Department of Commerce. 2. Aratani, Y. & Chau, M. (February 2010), Asset Poverty and Debt Among Families with Children, Columbia University, National Center for Children in Poverty. 3. Half in Ten (October 2011), Restoring Shared Prosperity: Strategies to Cut Poverty and Expand Economic Growth. Found at: www.halfinten.org.